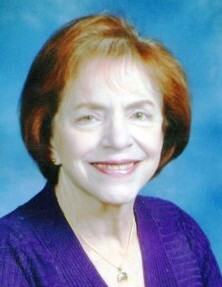 Carolynn Gail Aurnou, nee Greenspan, age 76, passed away January 29, 2019. She was born August 29, 1942 in the Bronx Borough of New York City. She is survived by her husband, Farrell Brody; daughter, Robyn Aurnou; stepdaughter, Mimi Brody; stepson, Alfie Brody; stepdaughter-in-law, Moushumi Brody; stepdaughter-in-law, Anjali Mehta; stepson-in-law, Aanand Mehta; grandchildren, Jordan Aurnou-Rhees, Spencer Aurnou-Rhees, Rania Brody, Uma Brody, and Gia Brody; niece, Stacy Greenspan; and great-niece, Talia Greenspan-McGovern. She was pre-deceased by her son Stephen Aurnou, and her brother, Dennis Greenspan. Carolynn was a graduate of the Hunter College Nursing Program and received her Master’s in Nursing at the Ohio State University. She taught nursing at Columbus State Community College and worked at various hospitals in the Central Ohio area. She was also a mental health counselor. A devoted wife and mother, an avid gardener, a peace activist who stood for equality and justice for all, she was deeply loved by her immediate family and many relatives and friends. A member of the First Unitarian Universalist Church of Columbus, she participated in many of the church’s activities. She was also a member and strong supporter of Jewish Voice for Peace. You could take her out of the Bronx, but you couldn’t take the Bronx out of her. Contributions in her memory may be sent to the Cancer Support Community of Columbus, 1200 Old Henderson Rd., Columbus, OH 43224.